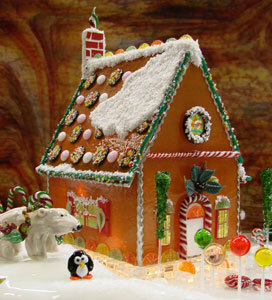 Decorate your glass gingerbread house! Use fusing, mosaic or resin techniques to create these realistic looking gumdrops and candies. Follow the link below to download this Free Project Guide. Project shown by Delphi artists Val Oswalt-De Waard and Jule Haan.